The 37 foot fishing vessel Western Nomad went aground on the rocks south of Cape Flattery, Washington. The Coast Guard was received the fishing vessel’s beacon notification and sent out rescue boats and a helicopter to the scene. The helicopter winched the two crewmen off the Nomad and transferred them back to shore. No reports of injuries. Authorities are monitoring the Western Nomad for possible pollution being released. The vessel had 200 gallons on the fuel on board when it went aground. 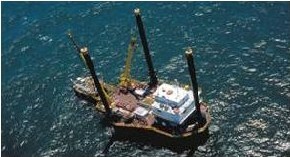 The 74 foot long, 99 gt lift boat Starfish capsized in the Gulf of Mexico near Port Fourchon, Louisiana. The Starfish had been struck by multiple waterspouts. The five crew evacuated and were later rescued. The men were later released from hospital after being treated for minor injuries. The owners have sent another liftboat to the scene to monitor and coordinate salvage efforts. 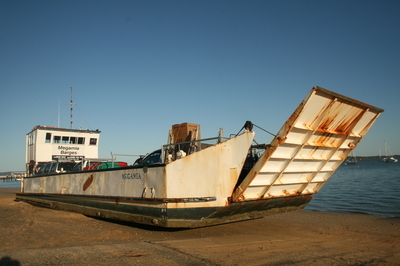 The ferry-barge for Coochiemudlo Island went aground as it approached the loading ramp on the island. The vessel was pushed by the wind as it approached the ramp causing it to turn sideways onto the shore. The ferry had 20 passengers and seven cars on board at the time of the incident. No reports of injuries or pollution being released. Coochiemudlo Island is located near Brisbane, in Queensland, Australia.